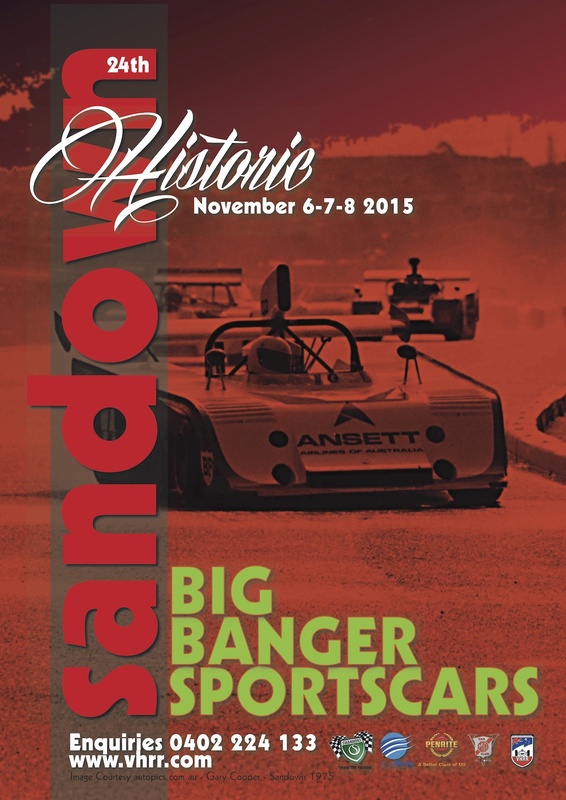 Historic Sandown is on this weekend and it’s set to be one of the biggest yet. Formula 5000, Sports Sedans, Group A and C touring cars, a tribute to racing legend Lex Davison, and the usual impressive array of open wheel and sports race cars will feature in an action packed weekend featuring 40 races. Hosted by the VHRR, this year will see a horsepower-packed field featuring McLarens, Brabhams, Bugattis, Jaguars, BMWs, Lolas, Camaros and much more. If you’ve got a favourite race car, chances are you’ll see it this weekend. This year, DeeBee Engines will be sponsoring Sunday’s Group N race at 2pm. Group N is the historic racing category for sedans up to 1972. At 2pm on Sunday, you’ll get to hear a screaming field of 34 muscle cars including fastback Mustangs, XU1 Toranas, a couple of seriously quick Porsche 911s, an armada of Camaros and more, all in the one race! So bring the family to Sandown this weekend and enjoy a fun, family-friendly atmosphere where you get to wind back the clock and experience grassroots motorsport the way it used to look and sound. Take a walk through the classic car displays, cool off with an ice cream, grab a spot in the grandstand, and soak up the atmosphere while watching racing that’s ten times as exciting to watch than the Formula 1. Gates open from 8:00am, racing from 9:00am. Parking is free at the venue. For more details, see vhrr.com.